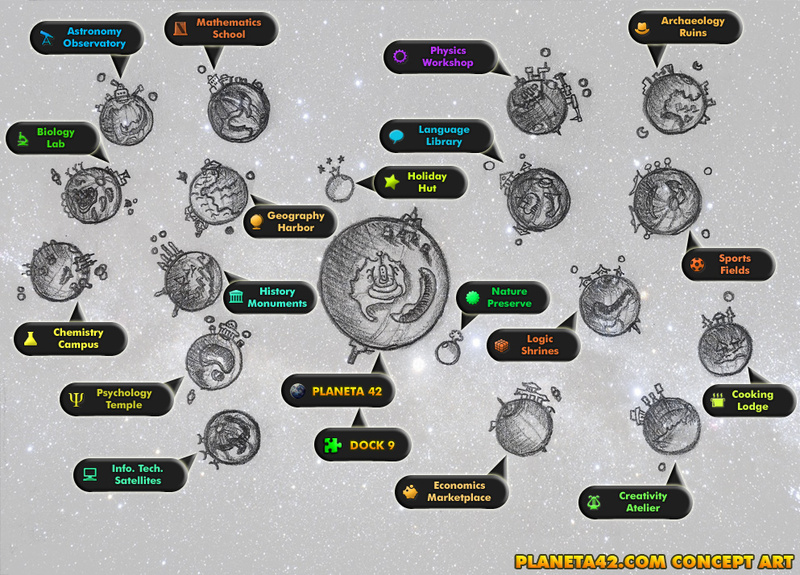 My Graphic Warehouse: 19 Planets and Satellites. This drawing is the art concept of Planet 42 and its satellites. 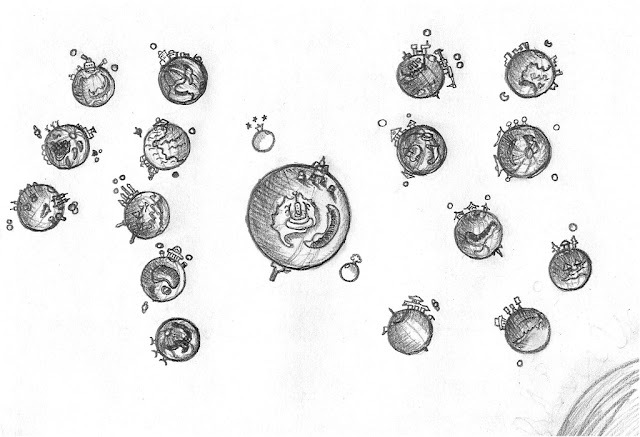 Planets in space.